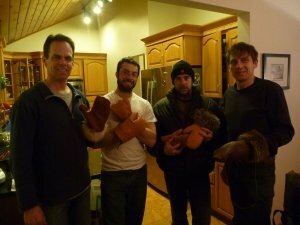 Photos from this past weekend’s mitten workshop have been posted here. Thanks to everyone who attended and helped make this such a great weekend. Our next workshop will be a winter moccasin workshop on January 29 & 30th in Sudbury – download the .pdf flyer for more info.